--On Tuesday afternoon of last week Anna Dvorak, a professor of outdoor education at Eastern Washington University, died in a climbing accident in the Sawtooth Recreational Area near Stanley, Idaho. Dvorak was climbing on the Elephant’s Perch rock formation with a partner when she fell around 1:30 p.m. According to a news release from Custer County Search and Rescue, she sustained extensive injuries to her head and face. To read more, click here. --A girl claiming to be Autumn Veatch walked out of the woods near Easy Pass on Highway 20 near Washington Pass, Washington and flagged down a passing driver. The girl told the driver she had been in a plane crash on Saturday night. The driver took the teen to The Mazma Store where store employees called 9-1-1. While Sheriff Frank Rogers of Okanogan County, says they still have not confirmed if the girl is the Bellingham teen that was on board the overdue plane, officials with Aero Methow Rescue Services confirm the girl is the missing teen. To read more, click here. A more recent update can be found, here. --A climber was seriously injured in the Callahans in central Oregon. To read more, click here. --AAI Guide and outdoor journalist, Shelby Carpenter, wrote an article for OutsideOnline.com about the recent collapse of the Big Four Ice Caves that killed one person and injured several others. AAI Director of Operations, Jason Martin, was also quoted in the story. To read more, click here. --The hollowed-out crater on Mt. St. Helens, where lava was flowing just a few years ago, now holds the world’s youngest glacier. And if that’s not surprising enough, the prosaically named Crater Glacier is also growing at a time when most glaciers around the globe are in rapid retreat. To read more, click here. --On June 26, James Hillier, Jessie LaFleure, Andre Muller, Ava Gardner, Mike Shives, and mystery man Tucker, rappelled into a fire in Squamish and extinguished it. The June 26 blaze was one of many that’s been popping up around the world-class climbing destination, which has been under a thick cloud of smoke from near-by forest fires. To read more, click here. Smokey views in the Cascades. --A fire expert warns it may be a long summer of smoky conditions in Squamish. Air quality advisories spread across the Lower Mainland over the weekend and to Squamish Monday as approximately 184 active forest fires burned across B.C. The smoke impacting Squamish is primarily from three fires north of the district: the Elaho, Cougar Creek and Boulder Creek fires, according to fire information officer Melissa Klassen. To read more, click here. --We joke about Bigfoot here sometimes, but it's no joke to some. The 'Finding Bigfoot' show has been on the air for six seasons and hasn't found Bigfoot. Do people really think that they're going to be watching this show and that suddenly the Finding Bigfoot crew is going to actually find Bigfoot? Apparently. Otherwise, it probably wouldn't still be on television. To read more, click here. --A man suffered fatal injuries after falling about 100 feet in Heaps Canyon inside Zion National Park Saturday, and crews recovered the victim’s body Sunday. According to a press release from Zion National Park, the 24-year-old man from Las Vegas was in Heaps Canyon with three companions when he fell about 100 feet without any ropes into a side canyon around 7 p.m. Saturday. To read more, click here. --Vail Resorts will begin paying its employees at least $10 per hour beginning September 26th, 2015 in all of the 8 states that they operate within. In California, Vail will pay $1 over minimum wage. In Wisconsin and Wyoming they’ll be paying $2.75 over minimum wage. In Colorado they’ll be paying $1.77 over minimum wage. To read more, click here. 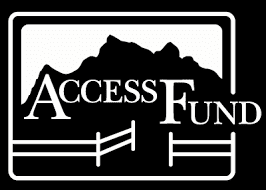 --The Access Fund is hiring. --A Colorado man says he has broken the speed record for climbing all of the state’s 14,000-foot peaks. The Denver Post reports that Denver-based climber Andrew Hamilton says he finished climbing all 58 points over 14,000 feet in the state at 2:21 a.m. Thursday, clocking the whole hike at nine days, 21 hours and 51 minutes. To read more, click here. --Early Friday, President Obama announced that he will designate three new national monuments, permanently protecting more than one million acres of public lands. He designated pristine wilderness landscapes in Nevada as Basin and Range National Monument, scenic mountains in California as Berryessa Snow Mountain National Monument, and a fossil-rich site in Texas as Waco Mammoth National Monument. With these designations, President Obama is adding to the 16 national monuments he has already created with his authority under the Antiquities Act, setting aside “more public lands and waters than any administration in history.” Both Democratic and Republican presidents have used their authority under the law to designate national monuments, many of which have later become some of the country’s most iconic national parks such as the Grand Canyon, Death Valley, and Arches National Park. To read more, click here. --Peter Metcalf, the CEO and founder of Black Diamond Equipment, recently wrote an op ed in Salt Lake City about how climate change threatens the ski industry and the outdoor industry as a whole. To read more, click here. --In addition to packing out toilet paper and not collecting moose antlers as souvenirs, rangers now ask backcountry hikers to not post precise maps of their adventures on the Internet when they get home. That’s because detailed turn-by-turn instructions for GPS devices have the potential to threaten what’s supposed to be a trail-less wilderness as hundreds of footprints along the same routes scrape social trails into the landscape. To read more, click here. --Vegan ultra running legend Scott Jurek just ran 2,200 miles to complete his masterpiece. Powered by plants and fighting through a knee injury and then a severe quadricep strain, Jurek set a new supported speed record on the AppalachianTrail (AT) last week. To read more, click here. The Rock Gym industry is growing at an unprecedented rate. --The climbing gym industry has grown at an unprecedented rate in the past several years. In 2014, 29 new climbing facilities opened (9% growth over the previous year); in 2015, 40 new facilities are planned. Yet in the past three years, only 8 out of 353 commercial climbing facilities in the United States have been sold or acquired. While the indoor climbing market has grown, it has not reached the point of a robust buying and selling market for facilities, and the industry hasn’t seen many owners of large gyms exit their investments. To read more, click here. --Japan is the snowiest place on Earth and they’re looking for ski instructors next season. That’s a good combo for you. Last Thursday, Japanese officials announced that the Japanese government is planning on easing visa requirements for foreign ski instructors by March 2016 to deal with a surge in foreign skiers and riders visiting Japanese ski resorts. To read more, click here. --Despite the first day of winter arriving yesterday, the majority of Chilean ski resorts are yet to receive their first sticking snowfall of the season this year. Northern Chile is doing especially poor this season with ski resort giants such a Portillo & Valle Nevado completely devoid of snow right now. To read more, click here. --Climbing has climbed to the top spot in Japan Real Time’s poll asking readers which event should be added to the 2020 Olympic Games in Tokyo. Last month the Tokyo 2020 organizing committee narrowed down the list of sports that might be added to the Games. The candidates are wushu, surfing, squash, sport climbing, roller sports, karate, bowling and baseball/softball. Japan Real Time asked readers to weigh in on the topic and choose their favorite. To read more, click here.